Falls Can Kill! Find Out How We Can Help! As the population ages, falls become more common. According to the National Safety Council, 30% of women over age 65 and 50% of those over 85 will suffer a fall. 30% of men over 80 will also fall. Bumps and bruises are far from the only results of a fall. Accidents are one of the leading causes of mortality in the elderly, even more than pneumonia. Falls account for about one-half of deaths due to injury. What can a Houston podiatrist do about preventing falls? More than most! We are one of the first to use an innovative device known as the Moore Balance Brace. This is a lightweight, custom made Ankle-Foot Orthotic that is especially designed to provide balance and stability to the elderly. It's sleek design fits into a variety of shoes and is easy to put on and take off. 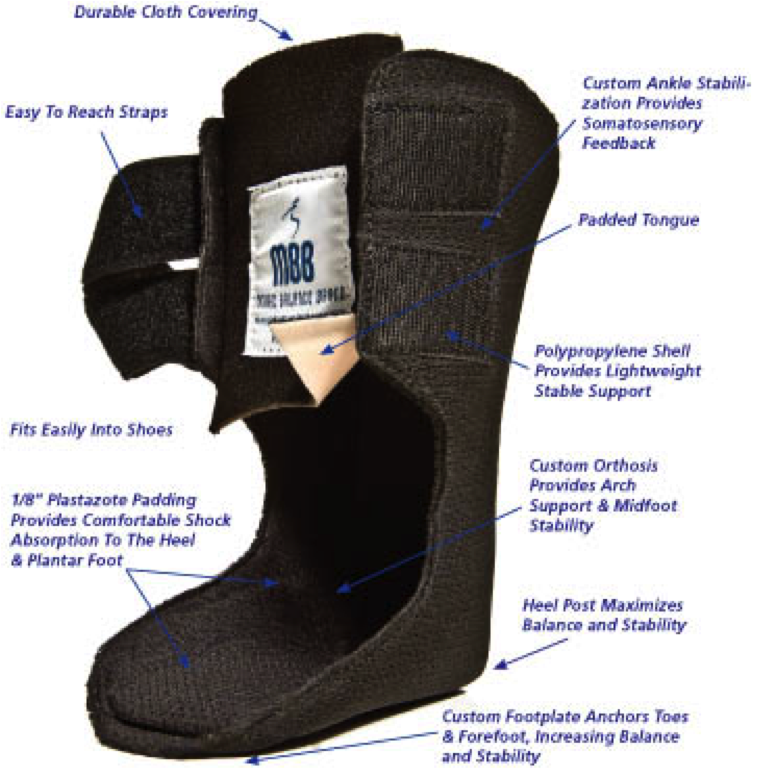 If this brace is not appropriate, we use many others, such as the Arizona AFO, that will suit your needs. All of these devices are covered by Medicare and most commercial insurance. If you or a loved one has had one or more falls, have difficulty walking, has mild dropfoot due to a stroke, or suffers from peripheral neuropathy, it is imperative that a proper evaluation be performed today. Contact the office today to come in for a comprehensive Fall Risk Assessment.